May | 2014 | Small Farmers. Big Change. I recently visited San Gaspar Chajul, a predominantly indigenous town in Western Guatemala where the Asociacion Chajulense (or simply “Chajul”) coffee co-operative has its headquarters. I spoke with the general manager, Arcadio Daniel Galindo, who told me they were in crisis: an outbreak of coffee leaf rust in the region was devastating coffee production and only getting worse. – See more here. 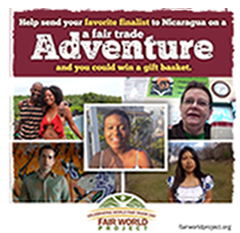 Fair Trade Now! 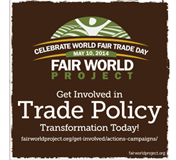 Buy Fair, Vote Fair! 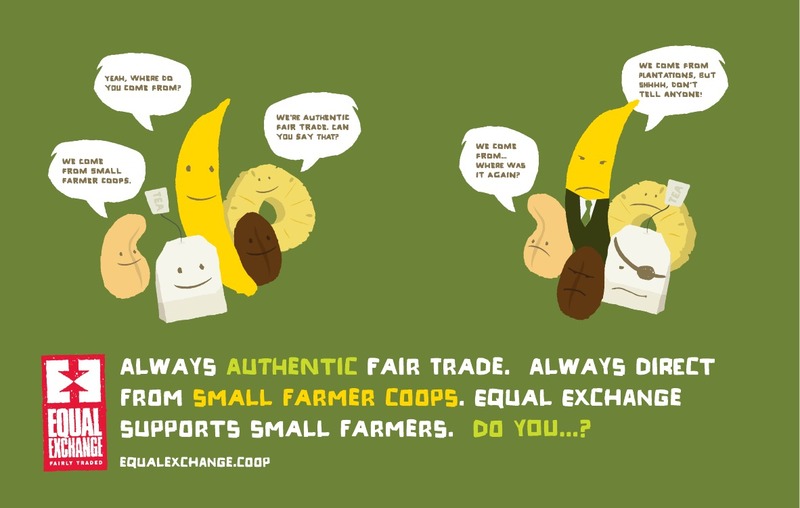 It’s Fair Trade Month and this Saturday, May 10th is Fair Trade Day. Appropriately, today we received this alert from the AFL – CIO. They are asking folks to share the graphic below with friends and family on facebook and twitter. Thousands of people are in D.C. today to call on Congress to support fair trade and a 21st century economy that works for everyone—not just corporations. Because of your efforts, we’ve changed the conversation in Washington about trade and stalled—for now—efforts by politicians and Big Business groups to pass the anti-democratic “fast track” trade bill. But these corporate politicians and Big Business interests aren’t going to just ride off into the sunset. They’re already conspiring again to use their massive wealth and power in Washington to silence us. That’s why we’re rallying in D.C. today—and you can stand in solidarity with us. Share this graphic with your friends to let them know you won’t back down to corporate CEOs and will fight for people-centered trade policies that create good jobs, protect workers’ rights and stop corporations from having more control over our lives. Just last week, Sen. Orrin Hatch (R-Utah), who’s the highest-ranking Republican on the Senate committee where the “fast track” bill is sitting right now, made it clear he would do what he could to get it passed by June. At the same time, the Business Roundtable announced it would be running a major ad and media blitz to get Congress to support more old, stale and failed trade policies. This isn’t a coincidence. They haven’t won yet, because of the amazing work you all have done. Make no mistake. They aren’t stupid and they’ve got a lot of money to burn. They’re going to try to make people forget the misery that NAFTA, CAFTA and other bad trade deals created for millions of workers and their families—lost jobs, lower wages and corporations wrestling more power away from our communities to pad their pockets. So, we can’t let up.